Hannah Montana: The Movie has proven that Miley Cyrus is indeed the most popular teenage girl today as it landed the number one spot in the North American box-office last weekend with a total of $32,324,487 worth of tickets sold during the three day weekend. Not surprisingly the movie was mobbed by young girls ranging from toddlers (2yrs old) to teenagers (17yrs old). I guess the fact that many fans had to be accompanied by their moms of course helped boost the ticket sales. Disney is of course very please with the results and as Chuck Viane, Disney’s president of domestic theatrical distribution said, “Outside of Wow! 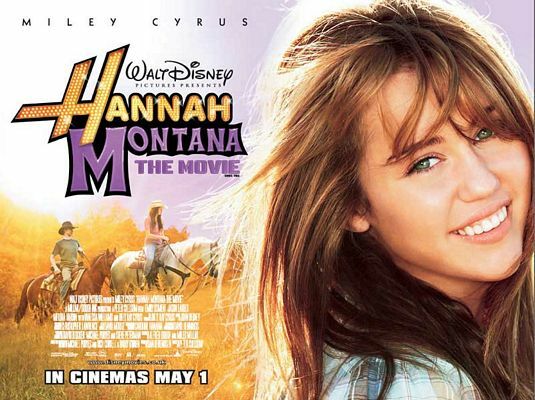 what can you say?” They also expressed surprise at the movie’s success but considering the success of the previous Hannah Montana movie I can’t help but think that the surprise is a bit contrived.The movie is the first Hannah Montana non-concert movie. The last movie, “Hannah Montana/Miley Cyrus: Best of Both Worlds Concert Tour,” was opened just a mill shy of thisone last year and ended up with a total of $65 million in total. It is now hailed as the top grossing movie concert of all time. With this record we can be sure that this new movie will be doing equally well if not better. As for the plot of the movie anyone who’s seen the tv show knows what to expect.